It's unclear why these gravestones have been moved. 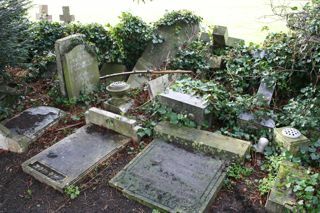 They are currently on the extreme right as you enter the cemetery from London Road but this may change over time. The GPR holds 14 grave and 22 person records for the cemetery.